Almost a week has passed and the loss of our 13 hens to a fox still smarts. If I’m being completely honest, I am surprised it took this long. We have been pretty lucky to only have lost one or two to a predator. It was really only a matter of time I suppose. Still. Did he really have to kill them all? It is getting to be too late in the year to start a new flock, so we will be taking time to re-evaluate our coop construction and re-think our defensive plan against unwanted visitors. We have no livestock to prepare the kitchen garden. 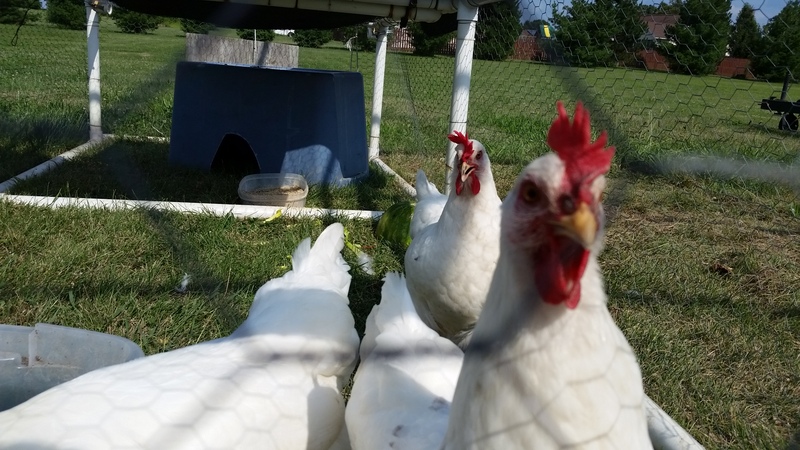 We relied on the chickens to weed, eat pests and prep the ground for Spring planting. Now we are forced to (gasp) do the work ourselves. Kitchen garden before chickens have spent 4+ months prepping for the Spring planting. Kitchen garden after chickens have spent 4+ months prepping for Spring planting. We will have to buy eggs for at least the next 6 months. In reality, by the time you factor in the cost of chicken feed, electricity to keep them warm and bedding, we will probably be spending a bit less. We won’t only be losing fresh eggs, but also fresh fodder for stories and poems. A tragedy indeed. So, what can we do to better protect our birds? We are already doing a few necessary things to protect the flock. The coop and run are completely enclosed with chicken wire to protect from opportunists like hawks and raccoons. We keep the chickens highly visible and have a solar powered motion light to deter possible predators. But, as with anything else, there is always room for improvement and there are several precautionary steps we need to step up. 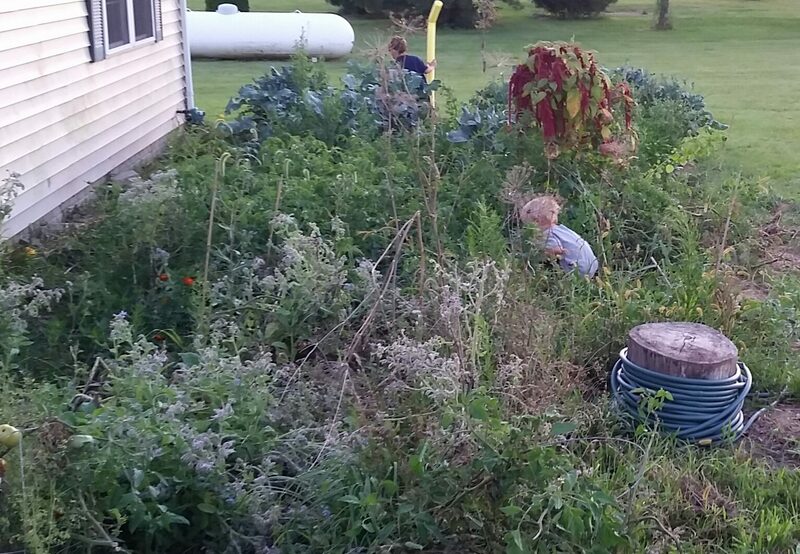 For example, we could do a better job of picking up any food scraps the chickens didn’t eat before nightfall. It should have been obvious to us that food left out in the open can attract more than just chickens. We could also start to shut the coop door at night to make it more difficult for intruders. The run and ramp to it is “secure” with chicken wire, but that (apparently) did not stop Mr. Fox. Also, we need to pay more attention to and fix any holes in the fencing that could provide an easy entry into the coop and run. Another recommendation was to get a rooster. This is not an option as we had several and the crowing got a bit out of control. But…we could get a guard dog. A guard dog would provide the same security as a rooster…only better. A guard dog would scare off any predators…man or beast. A guard dog would be an excellent addition to the homestead. This entry was posted in Chickens!, For the Kids, Garden Stories, Preparedness. Bookmark the permalink. I have a buddy out in Oklahoma who had the same problem – actually it was his own dogs – both terriers that were getting in and killing his chickens. 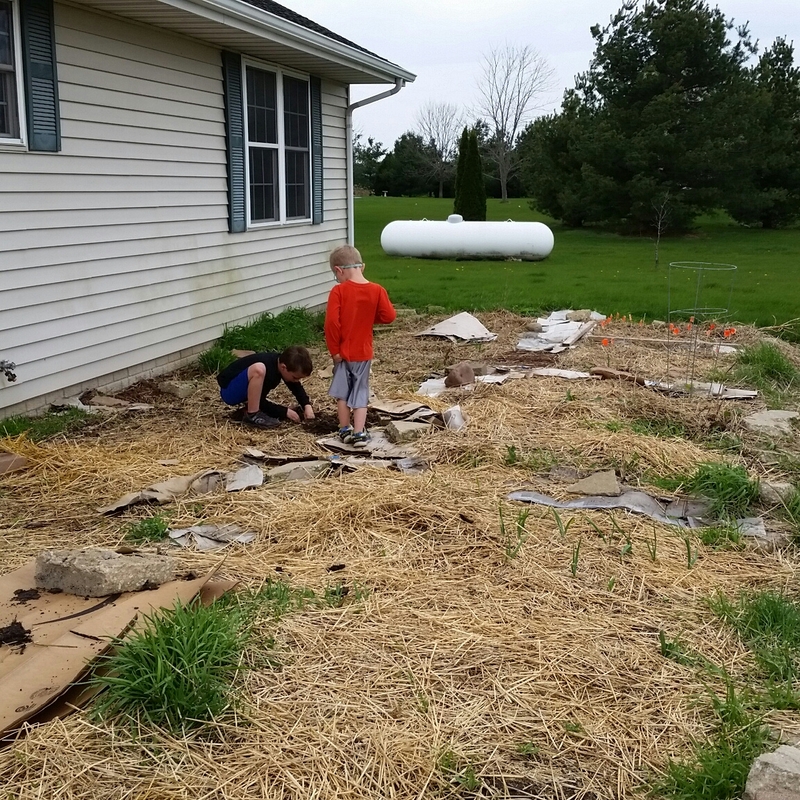 He had the chicken wire up as well but ended up changing it out with the heavier duty livestock fencing and then dug it down three feet into the ground as his dogs and other predators had tried to dig down under the fence to get to the chickens. Since he has put that up no raccoons, dogs, coyotes, possums, or chicken hawks have been able to get in.. And like you guys had done he also added a motion sensor lights and puts the birds up in the coop for the night. I think he has a one way door on the chicken coop so that if a predator gets in it cannot open the door from the outside into the coop. 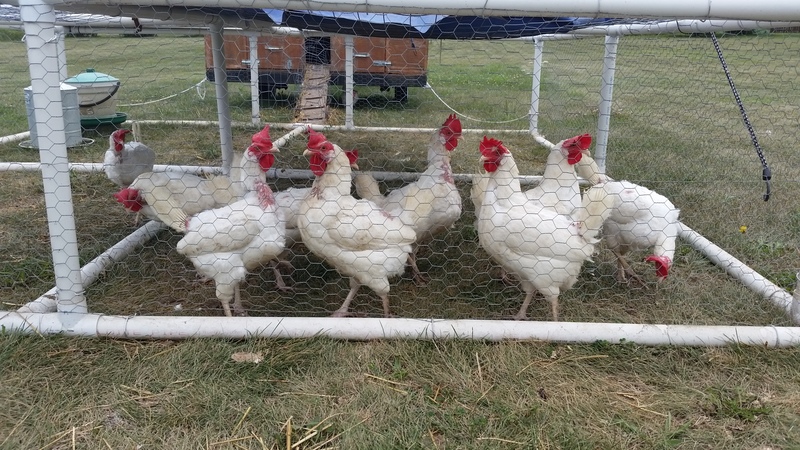 That livestock fencing is very sturdy but not too heavy so that you guys could still keep the coop as mobile as possible but superior in strength to chicken wire.